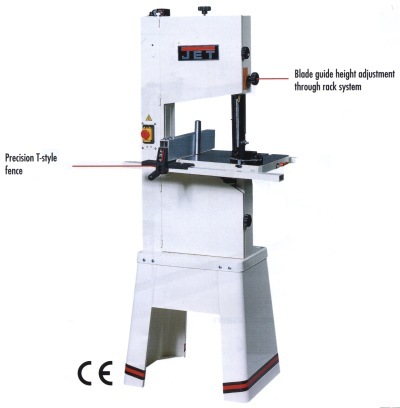 JET - JWBS - 14 - 355mm Bandsaw. 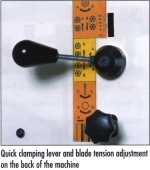 Exclusive design with quick clamping lever to release the blade when not in use. Rack guide with milimeter scale for adjustment of the upper blade guide. T-style rip fence assembly with parallel cutting feature. 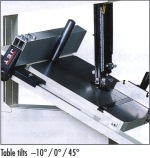 Precision table with polished cast iron surface, tilts - 10° / 0° / 45°. Upper and lower blade guides extend blade life. On/Off switch with no voltage release. Precission fence with parallel cutting device.